My father, Robert Seth Hayes, is one of the longest held political prisoners in the United States. He has been an inmate of the New York State Correctional system since 1973. He was a member of the Black Panther Party and Black Liberation Army. Forty one years is long enough. It is time for him to come home and you can help by signing our petition here. I was only two years-old at the time of his incarceration. From the moment he entered prison, he has never forgotten his family, friends, or community. From behind prison walls, he continues to work hard to selflessly give of himself in ways that restores and heals. At 66 years-old, he works as an advocate for prisoners with disabilities, and over the years he has mentored hundreds of incoming gang members preparing them for a life beyond incarceration. His accomplishments and service are too many to mention here, but he has never forgotten or abandoned his social justice principles or commitment to community and family. Prison did not steal or break his spirit. It renewed it. I do not know where I would be today if not for his unwavering love and support over the years. Not only did he have to deal with all the normal father daughter growing pains—and trust me there were plenty—but he had to cope and do so from a prison cell. Not once, not even one time has he ever thought about giving up on me or cutting me off even when I probably deserved it most like when I was a selfish self-involved teenager too concerned about my own life and feelings to consider what he was going through. Fathering from behind prison walls comes with its own set of unique challenges, but he was never dissuaded. I’ve been suicidal, depressed, and so lost at times that the only thing that was ever able to bring me back was leaning on his strength. I’d tell myself, “if he can stay focused and determined to survive and come home, than I must too. Re-reading his letters when I felt so broken by this experience was like taking in air when I forgot to breathe on my own. His letters and words continue to save me. My father has done his time and more. He has paid his debt to society. He has done so with dignity, grace, and more love than anything I’ve ever encountered. When I am bitter and full of rage, he is full of love, calm, and determination to come home. There is no reason to continue to keep him incarcerated or deny the law. In 1998, he became eligible for parole after completing 25 years—his original sentence. It is time for him to be released and returned back to his family and community. 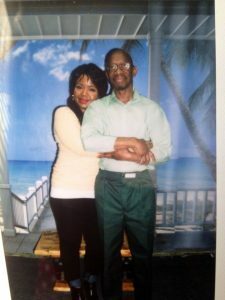 He is 66 years-old and has diabetes and hepatitis C. He is remorseful and he has met every criteria set by the parole board, yet they continue to deny his petition for release. If President Ronald Reagan can pardon FBI agents W. Mark Felt and Edward S. Miller for COINTELPRO violations acknowledging the challenges of the time saying that “America was at war” in 1972, then my father is still a prisoner of that war and is long overdue his freedom too. When President Reagan reminded us that keeping those agents in prison would not serve justice, he was right. It is also true that keeping my father and all political prisoners locked up does not serve justice either. We do not get to pick and choose which prisoners of war are deserving of freedom. They all fought in that war believing that their actions were necessary. President Reagan acknowledges that for Felt and Miller. It is time we extend the same justice to my father and do what President Obama asked of us when he eulogized Nelson Mandela and told us that we must “make the future worthy of his sacrifice” — the same man the US once labeled a terrorist but has since come to love and honor as one of the greatest freedom fighters of all the ages worthy of the greatest praise of all. Please help us in our fight for freedom and sign the attached change.org petition for his release. 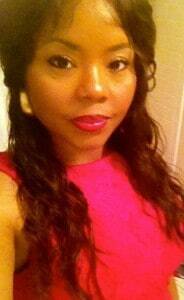 Crystal teaches at a local area university in North Carolina and can be reached via Twitter @motherjustice.